Just want to say your hotel made our short break very enjoyable. Stan and I couldn?t have found anywhere better - the people, the food, lovely comfortable beds, fluffy soft towels, and the little finishing touch of the toiletries in the rooms that may have been forgotten by your guests. All made even more enjoyable by the fantastic handmade cushions dotted around the hotel and rooms. So much work went into them. Your attention to detail is second to none. Even the location was perfect. So thank you. A real holiday: swimming, walking, cycling and nice sightseeing. Very, very English, an experience for a continental, surely the breakfast! The personal care of David and his friendly and helpful staff makes you feel at home. Our best holidays in years. We have just come back from the Isle of Wight and we had an incredible week end at the Clifton. As we arrived we have been greeted by lovely people. They have been extremely polite and helpful for the whole time. The place was immaculate. I have rarely seen an hotel so clean. Our room was one of the cheapest ones so it was smaller but yet it was very nice and cosy. The ground floor area is beautiful. There is a nice bar, a beautiful snug area with sofas and an incredible view on the back garden and the sea. The location is very good. It is a short walk down the cliff to the beach and about 5 minutes walking (10 maybe if you take your time) from the town center. Breakfast was included in our price and it was very good. The girl taking our order was super sweet and very friendly. They have a cold buffet with fresh croissants and brioches and then they come to your table to take the hot order (coffee, tea, english breakfast, omelet, muffins, and many more options!!) On the last night we had dinner at the hotel. The food was very good and again the service was perfect. We will definitely and cannot wait to be back again. Thank you to all the amazing people of the Clifton. We had a great time. We booked a short 2 night stay at the Clifton, The hotel is in a get location & has the most fantastic views. The room was ideal for our visit, we stayed in a cosy double.I would recommend the full English breakfast it kept us going till lunch time. The staff were so friendly & made us feel very welcome, thank you for all recommendations on all the places we had to see, unfortunately we ran out of time to see them all so we will be booking another visit. The Clifton will also book your Ferry crossing for you if you ask. Having stayed for four nights last week in the Premier Suite, we left the hotel with the very definite feeling that a return visit ought to be a must! We were delighted by everything and can only offer our thanks to David, Carys and the whole Clifton team for the way in which they have managed to create a warm, friendly and family like atmosphere supported by such great views, personal attention and excellent food! There was none of the impersonal and sterile like atmospheres that can be found in so many hotels these days. What else can we say but that we loved it! Top marks from us. We recently chose to return to the Clifton Hotel for 5 days to celebrate our 25th Wedding Anniversary after staying there 3 times in recent years, again we were not disappointed this beautiful hotel in stunning surroundings and friendly staff enhanced a very special stay for us, even extending our stay by a day because we enjoyed it so much. We stayed in the Bay view room with spectacular views, the room was excellent, clean, with a very comfortable bed. Staff were on hand to assist us at any time always with a smile and sampling their home made cakes was a delight in the gardens which were beautiful. We will certainly be returning as the peace and quiet of the location suits us both, cannot recommend The Clifton Hotel highly enough. Thanks to David and Carys and all their staff. We had a great holiday made even more so with our stay at The Clifton starting with help from Joanna when we managed to get lost on our way and a lovely welcome when we arrived. The room was very comfortable and had the most amazing sea view with binoculars supplied to watch liners coming and going.We ate at the hotel every evening and the food was excellent as was the breakfast with a wide choice.Best of all the fabulous scones, congratulations to the maker of the best scones ever Thankyou to all for making our holiday special. Wish it could have been longer! A big thank you to Dave and Carys and all thier staff, My wife and i have just had very relaxing stay at the Clifton, from the moment when we first arrived we were made so very welcome, The reason for our stay was to celebrate our 25th wedding anniversary, this will now have fond mememories for the rest of our marriage. Our room was very well laid out and so very comfortable, we had a delicious cooked breakfast every morning followed by a relaxing walk along the sea front before visiting the rest of the island for the day and the food was so good we had all our evening meals thier as well, this was our first visit to the Clifton but it will not be our last. My wife and I recently stayed at the 'Clifton Shanklin' in the ''Balcony Bay View Room' on a 'Half Board' basis between 08/08/2014 - 15/08/2014. We could not fault the Hotel in any way whatsoever !! 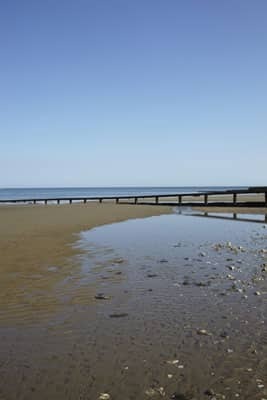 The Seafront location is second to none & near to both the Beach & Shanklin Old Town, with its numerous Pubs & Restaurants. The Reception Staff, Waitresses & Hotelier were all so very friendly & welcoming and could not do enough for us !! The food is to die for with lots of 'Local Produce' on offer, Evening Meal had the options of both a 'Set Menu' with 'Daily Specials' on offer too. We also recommend you stay 'Half Board' to enjoy the lovely food !! Without doubt we will be returning again & again to this fantastic Hotel & we suggest that you give it a try, you'll not be disappointed !! My wife and I stayed for a week from 11th June 2014. We hadn't stayed there before, and with so many hotels to choose from, we took a chance. We think we hit the jackpot. It was perfect!! The room, the staff, the food, the location for the view, and the town centre couldn't be beaten. If we were to revisit I.O.W. we wouldn't stay anywhere else. Sometimes we've stayed in hotels where staff and management shouldn't be anywhere near the public. Not so at this hotel, everyone is so nice and helpful. Spent a short break here in June and found the hotel excellent. We booked a cosy room as we were only staying a couple of nights and found it had all that we needed. The room was spotlessly clean as was the on suite shower room. Everything was obviously new or recently decorated; the bed was very comfy too and the room had all that one might need. The views from the front of the hotel where the garden, seating deck and dining room look out over the sea was . holidayed on the 7-april- 2014.had the most brilliant time. an excellent hotel run by wonderfull friendly staff. 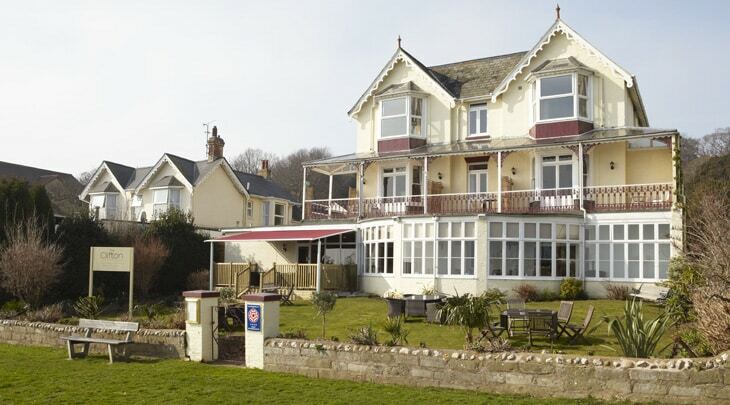 great food, the hotel is situated in a perfect position above the sea front.with the most lovely cliff walks. would I return to the Clifton, yes I certainly would. this stay at the Clifton will stay with me and my wife a long time.really fantanstic people ,we really felt at home in the Clifton. thank you to all the staff for making our stay so pleasant. Shame we could only stay one night. Lovely room with a gorgeous view. Delicious breakfast and the hotel was warm and clean. Hope to stay with you again. Many thanks. Lin and Bob. A big thank you for looking after my mother in law...( Mrs Margaret S ) so well last week. She has nothing but high praise for The Clifton , and you can be sure that she will be recommending it to friends and acquaintances in Warwick. On our part I would like to commend you and your staff for the warm welcome we received at all times, and the spotless and comfortable public rooms as well as my mother in law's bedroom...it was such a delight sitting in the snug and staring out to sea...!